​Chelsea's legendary captain John Terry has revealed how Jose Mourinho inspired him to pursue a career in management, after playing under the former Blues coach for five years at Stamford Bridge. 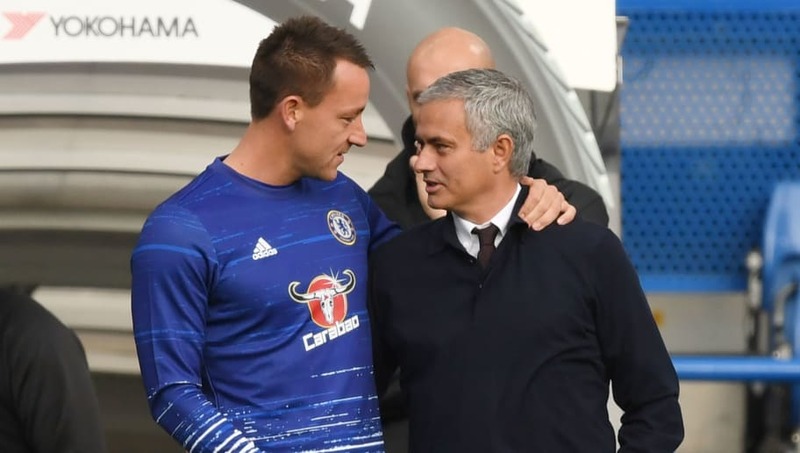 Mourinho's five years with Terry spanned across two separate spells as Chelsea manager with the pair boasting three ​Premier League titles together. The stalwart, now at 37-years-old is currently plying his trade at ​Championship side ​Aston Villa, after ending his illustrious Chelsea career last season. However, he knows his 20-year-long playing career is coming to its natural end and is planning for a future in management. "I was quite young when Jose Mourinho first came into Chelsea. Only 23, but after a few training sessions, I went and got a notepad and started jotting stuff down. "Things he said in team meetings, things he said before a game, or to the press. Sometimes I’d come in after a training session and write down everything we’d just done... From the moment Jose came in, I knew I wanted to be a coach." Terry hailed Mourinho's man management techniques claiming: "He knew exactly what he was doing. He knew how to press my buttons, but he also knew when to give me a cuddle, when to tell me I was the best, when to tell the press that me, Frank [Lampard], Didier [Drogba], Petr [Cech], Ashley [Cole] were the best players in the world. "I promise you, as a player, you went out there thinking you were the best. That had an impact on our performances, and that was down to Jose. Were we the best in the world? Probably not, but he made you feel like you were."